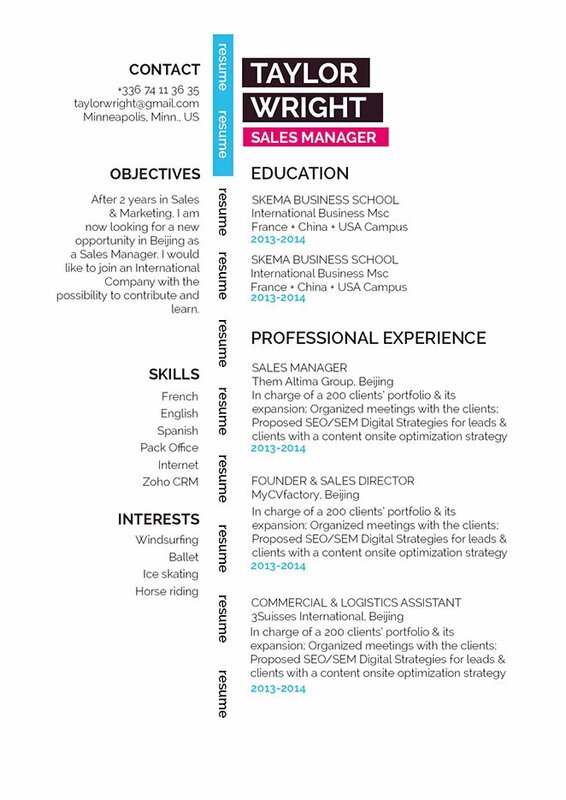 A very good-looking resume that highlights the skills and experience of the candidate. 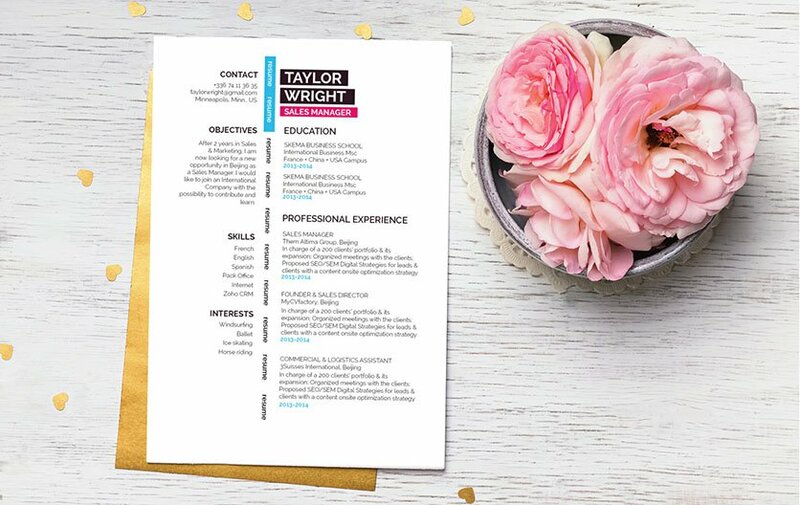 CV template to download "Gorgeous"
The Gorgeous Resume presents all your experiences and skills perfectly! This professional resume template features a very creative and well-laid out design that is perfectly applicable to any job type. If you're an applicant that has a solid set of skills and experience—then this resume is just perfect for you as it lists down all the aligned content to the job in a clear and comprehensive manner that will surely increase your chances of landing that dream job! Make your resume clear and comprehensive. A resume written this way will get the attention of more hiring managers and impress more recruiters. A well written letter should draw the recruiter's eye to relevant points on your CV. It is an admittedly brief, space in which you draw a positive picture of yourself in the mind of your potential employer. Ensure it is never more than a page long. Use italic/bold font styles to help guide the reader's eyes. Make good use of bullets to emphasize the key parts of your CV that need to be highlighted. Lastly, give your resume a logical format by using wide-margins, headings, and subheadings.